The Journey Continues: Lead, Follow or Get Out of the Way? I never thought of myself as any kind of a leader. Heck, after all the “bad” experiences with my peers, especially in elementary school, I just wanted to be left alone in the background of life. Sometimes, no matter what your ego/wounded child would prefer, your Higher Self and the Universe have other plans for you in your present incarnation. Even though Dee and I both became High Priestesses at the same time, I never really wanted the position. When we started talking about beginning a Coven, without hesitation, I suggested Dee be the High Priestess and I would be the Handmaiden. Working in the background, so to speak, was appealing to me. Dee was a Libra with Leo rising, so being “center stage” was very likeable to her. Fine. We would start putting together classes, spread the word that we were around, and begin to look for a viable candidate as High Priest. We really were new at this and many mistakes were made along the way. One of them, for me, was believing I would retain my “background” position. You see, as the group began to grow, we decided that this would be a learning Coven with everyone contributing. We met about every two weeks and had a subject that someone would have researched and given as a talk to the rest of us, who would then take it up as a discussion afterwards. After maybe the first time that it was Dee’s turn to provide the talk, she was never prepared. Even when it came to rituals, she would enter the Circle unprepared, once even with rollers in her hair! Please understand that I’m not relating this to denigrate Dee, it’s that without knowing this part, you might not understand what happened next. Dee came and left shortly after the regular discussion took place. I thought we were done and wondered why everyone was hanging around. I quickly found out when they told me they would all walk away unless I took over as High Priestess! There was to be no more hiding for me. After relating the whole occurrence to Dee, I became the High Priestess. This is a recurring theme in my life. The more I’ve tried to stay in the background, the more I’ve been forcibly pushed out to center stage. Remember the whole birth of the idea of Goddess Gathering? The part I didn’t tell you was that when I asked how we should proceed and who wanted to “chair” this project…everyone turned and looked at me! Yes, I have great organizational skills and, yes, I do know how to get things done, but NOOOOO I didn’t want to be in the forefront of this. My brilliant idea to dodge that? I said I would be willing to organize things if someone else would be the coordinator – the face of the event. I managed to dodge that bullet for about 7 years and then finally was left with no option but to become coordinator for the next 13 years. The one thing that I have a hard time with is understanding why others don’t have the passion for doing these things. Why didn’t Dee see how important, how sacred her position of High Priestess was and take it more seriously? Why didn’t those who preceded me as coordinator and those who followed me see how important and how sacred Goddess Gathering and Raven-Wolf Nature Sanctuary were and do the work necessary to maintain them? I really don’t see myself as anymore special than anyone else. I really didn’t then and still don’t now see myself as a leader anymore than anyone else. Is it that some things, especially those having to do with the spiritual, have so much meaning to me that they create a passion in me that moves me to facilitate the creation of things like Temple of Wicca, Magickal Unicorn Messenger, Goddess Gathering & Raven-Wolf Nature Sanctuary? Even if this is true, does no one else share that passion? How very sad, if that is true. That would mean that all these wonderful things that others have wanted to see happen, and have asked me to facilitate the creation of, would die shortly after I withdraw my energies. Unfortunately, that is what seems to happen. I am NOT that special that this should be the case. There have to be others out there who share the same types of visions, passions, and love of the spiritual. I realize that, as the decades have passed, things have changed even where spirituality is concerned. I recognize that younger people see things differently. After all, they grew up in a world quite different from the one I grew up in. What I don’t get is, if we are moving toward a more spiritual vibration and an awakening, wouldn’t the younger generations be even more passionate about their spirituality? Wouldn’t they want to see gatherings of like-minded people be created and continue to exist? Wouldn’t they want to belong to groups that were practicing spirituality as a way of life? Wouldn’t they find it important to know and understand themselves even more than we ever have? When I think about the past and the future where others’ feelings of passion and sacredness might be, I feel like I’ve taken some drug that has completely clouded my mind. I can’t seem to wrap my mind around it. Please understand that I haven’t come here to judge anyone, only to try to understand where others are coming from spiritually. Perhaps this is just my own personal experience and there are groups out there who all pull together because they are passionate about their spirituality and their common purpose. Thus far, I have yet to experience it. 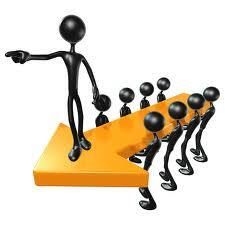 It is said that you should know when to step aside in favor of a younger leader (paraphrasing Coven Law). It would be my honor and a great experience for me, in any circumstance, to experience this and see someone who enthusiastically shows others the path to further spiritual evolution. Yes…I have lead…and, yes, I would follow by gladly getting out of the way. After all, being in the background IS where I’ve always felt most comfortable. This entry was posted in Astrology and tagged Energy Medicine, Higher Self, Law of Attraction, Magick, Metaphysics, Paganism, Self-Empowerment, Spirituality, Transformation, Wicca. Bookmark the permalink.